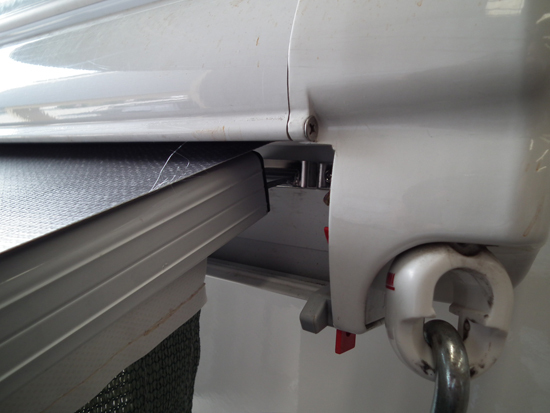 My Fiamma Awning needs strengthening, and I have heard that the Fiamma Clip system will do just this, There are none available and this has been the position for the past 6 months. Can the Grasshopper fit the bill? 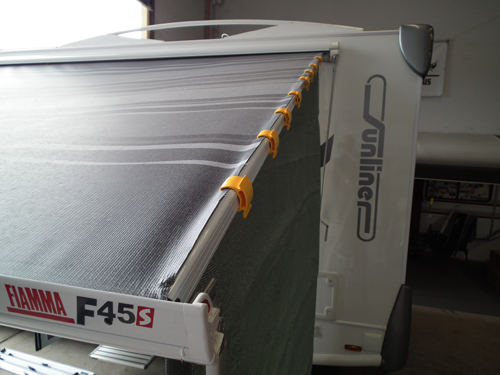 I need an appliance to keep my Fiamma awning cloth sturdy, stop the nightly flapping, and assist with rain issues. 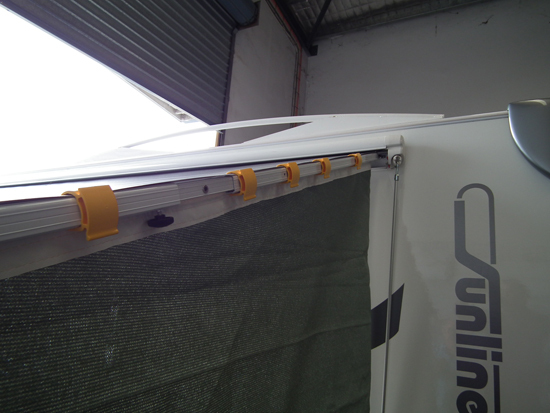 The Fiamma Clip System costs $385.00, do you have a cheaper alternative like you have for Roll Out Awnings? I’ve tried the alternative after market AFK and it has damaged my vinyl. I can’t get it replaced! What am I to do? (The photos below tell the story). 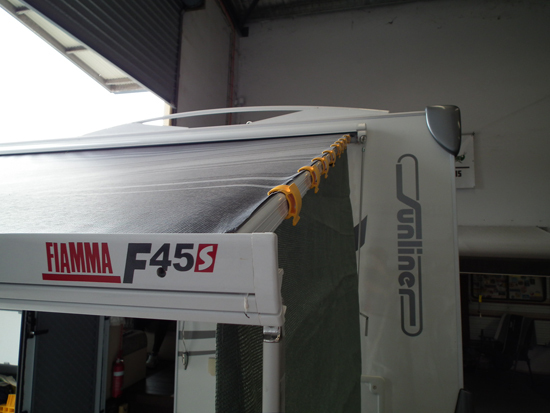 Our new Grasshopper Straight Roof Rafter has been adapted to service the Fiamma Wind Out Awning System. It is now available to purchase however stocks are limited. 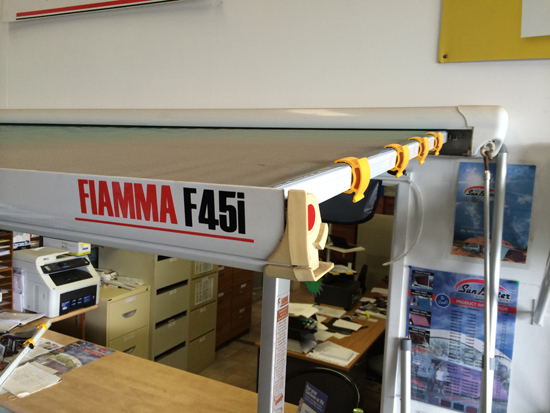 The product code is GH-SFCKit-FA You need to call and discuss the Fiamma which you have, we may need you to photograph certain parts on the Fiamma to confirm what you actually have, and ensure that you receive the correct parts from us. 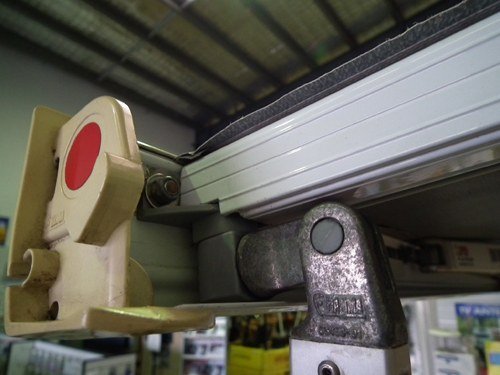 The Stop Flap Clip Kit-FA is made to measure and needs no adjustments. 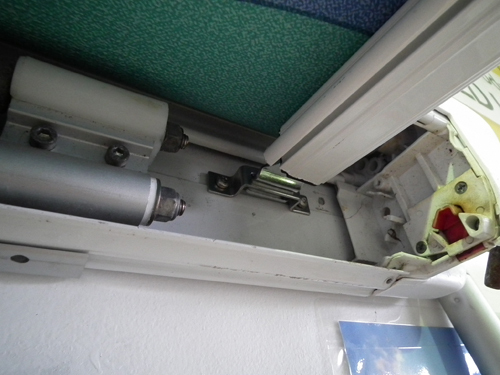 All that is needed is a Stainless Steel saddle to be attached (comes in the kit), which will take the home handymen no longer than 10 minutes. 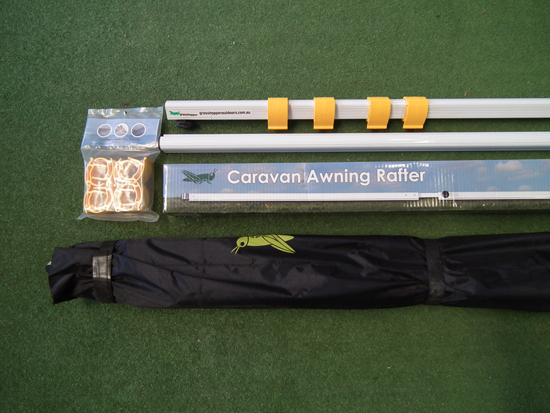 Believe us, this is the only alternative which is available and which does not damage your irreplaceable awning fabric. Tip: the GH SFCKit-FA enjoys the benefit of using our Standard Anti Flap Kit Storage Bag, available as an accessory for only $49.95.